It’s that time of year again, the tech conference proposal season. If you’ve ever wanted to showcase your latest techno-gadget or hacker technique to an eager audience, now is the time to get going. I submitted a couple of pitches a few days ago. 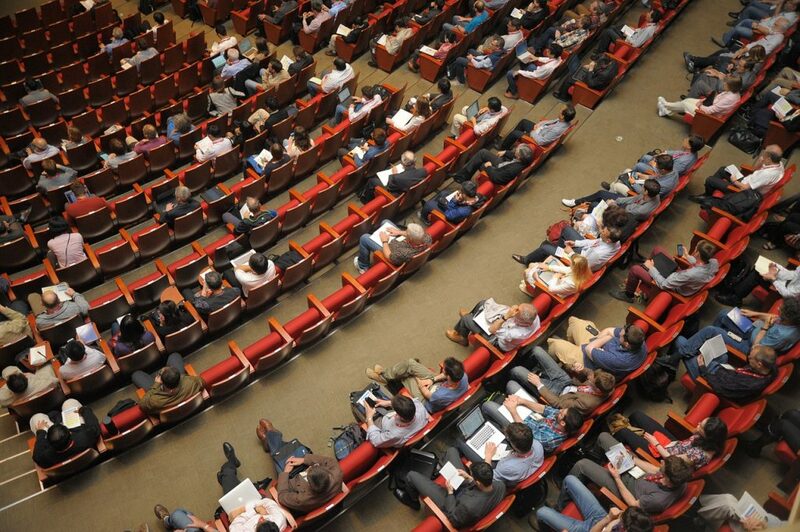 Big conferences usually work on a six-month or longer lead times. Right now, you should be looking at July and later 2019 gigs. Rest assured that predicting what your audience will want to see and know about months from now, in the fast-moving world of modern tech, is quite a challenge. I think it is a part of industry knowledge and a bit of black magic. Today I’ll share a few things that you might leverage while crafting your technical conference speaker pitches. Before anything else, find out the exact time and due date for your conference tech talk proposal. Write the date, time, timezone and venue location on a worksheet and put it in a folder. Note that if you are on the U.S. West Coast and the conference is on the U.S. East Coast, be sure you know which time zone applies to the submission deadline. It would be a real shame to be rejected because your submission was three hours late. Ideally, you’ll have a couple of weeks to work on your pitch before finalizing the submission. It might make sense to make a list of upcoming conferences and with their associated due dates, so you can periodically track which submission is on your near-horizon. Organizers usually allow a month or two between issuing an RFP (request for proposal) or a “call for speakers” and their submission due date. I typically start actually drafting the proposal a couple of weeks out from the submission due date. I like to just do a brain dump into the various proposal category boxes (summary, detailed description, audience level, and so on) during my initial pass. Consider using an off-line worksheet with the proposal topics, which I’ll discuss shortly. Think about what you want to present, then just type it out as fast as you can. Don’t edit any of your proposal information, just get it onto the page. Include everything you can think of that might affect your presentation. Don’t hold back. Then put it away for a few hours or a day before you start refining your pitch. Edit when you actually have something solid to edit. You’ll need to set up a speaker account and profile with the conference before submitting a pitch. You’ll need this to log in to your account. This is good because organizers use it as one of the ways to remind you of opportunities, program changes and your proposal status. Your speaker profile includes general contact information such as your name, address, email, phone number, a user password and so on. If any of that changes between your submission and your talk, make sure to keep it up to date through your speaker account. Email is particularly important since conferences frequently send out important personalized messages using this medium. You don’t want to miss critical updates if you’ve switched email addresses between the time you submit and your speaking date. Conferences also typically use proposal forms for speaker submissions. These include boxes for a summary, the abstract, a detailed description, audience level and so on. I like to copy various box titles into LibreOffice Writer and fill in the content while off-line. That way, I’ll have a record of what I proposed and can just cut/paste it into the form after tweaking and spell-checking. I won’t have to start all over again if my machine crashes, there is a network outage or something else disrupts the on-line proposal writing session. Another thing is to review the ENTIRE speaker submission section of the conference website to see if there are any important rules you should follow before launching into crafting your tech talk proposal. For example, the input boxes typically have character limits. Many times, a character counter appears at the bottom of a box. No sense in starting out fashioning a detailed 5,000 character description when the box only will let you input say 1,000 characters or around 200 words. Make sure not to mix up character and word counts. Established conferences usually provide expert recommendations on what to put in your proposals, how to get your ideas across and why the audience might sign up for your talk. Be sure to read those suggestions as they frequently have great advice for new and experienced speakers. When you stand up in front of your audience, at a conference seven months from now, will they get what you are proposing today? In other words, I strongly suggest that you promise something you are pretty certain you can deliver. If you say you are going to talk about a new whiz-bang feature in your steampunk robotic skull, it makes a lot of sense to have already prototyped the feature and proven that it is at least possible. Granted, in the ensuing months between when you submit the proposal and the actual talk, you will likely greatly improve the feature and refine it to a point where it is very cool. That’s fine. There’s a little bit of wiggle room here. Just don’t say you’ll demo your absolutely amazing steampunk robotic skull with a laundry list of bleeding-edge tech if you don’t even have a plastic skull from Target sitting on your workbench. This is one reason I suggest using a proposal worksheet to record your proposal content offline before you put it on the official proposal form and hitting “submit” that one final time. You’ll be confident that you can deliver to your audience and you’ll be able to “remember” what you were supposed to demo, when it comes time to actually put the talk together. The audience, the conference and sponsors deserve a great show that lines up very well with your proposal.